Research Centre Silvia Santagata (CSS-Ebla) has been established in 2008 by Walter Santagata, Cultural Economics professor, very popular both in Italy and in the International community, died prematurely in 2013. CSS-Ebla is made of specialists, professors, researchers but also all those people who are interested in modern history of politcs and economics, in cultural economics, in institutions and in creative atmosphere. In details CSS-Ebla is made of all those specialists who work in the area of Piedmont but that also co-operate with both italian and International territories. During the years CSS-Ebla has been part of several educational projects. Few examples are the Master World Heritage and Cultural Projects for Development in co-operation with ITC-ILO, the master Managing World Natural Heritage in Trento (Italy), the International workshops on managing of landscapes for specialists from Iran, the series of classes on “New ideas of Business of Culture” also attended among the others by, David Throsby (MacQuaire University), Anthony Bigio (World Bank), Andrea Carandini (FAI), Françoise Barrere (Université de Reims-France), and Franco Iseppi (ITC). CSS researchers also co-operated win the drafting of “White book about crativity. An italian example of development”, edited by Walter Santagata, promoted by the Cultural Heritage Ministry (MiBAC) and published by EGEA in 2009. In 2010 CSS organized the Cultural Commons International Workshop, published by Edgar Elgar in 2012 and it also worked on the drafting of Langhe, Roero e Monferrato’s candidacy as a UNESCO World Heritage site’s list. In 2011, CSS drafted, presented and published with “Il Mulino” publishing house and with Fondazione CRT. 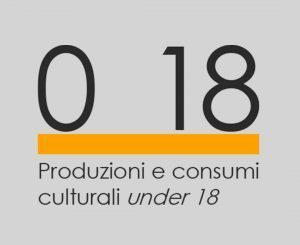 the studying on Cultural Economics and creativity in Piedmont called “Creative Atmosphere” that analyzes those cultural creative areas in Piedmont to define a new International idea for the local development. A working team analyzed the study focusing on what it works and what it does not work in cities, in cultural areas, in the culinary arts, in design and in the cultural heritage. 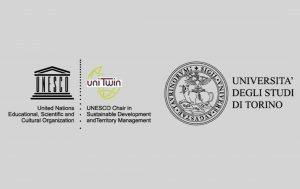 In 2012 CSS edited the report called “Economic and Cultural effect on –UNESCO World Heritage – brand, job assigned to CSS by Cultural Heritage Ministry and “Cognetti de Martiis” Department of Economics and Statistics of the Univeristy of Turin. – Culture as a Network: Creative Atmosphere, Cultural Clusters and Sustainability of Cultural Projects. – UNESCO WORLD HERITAGE: Economic and Policy Issues (several UNESCO members attended this meeting). In November 2012 CSS worked on the scientific organization of “Florence 2012 International Cultural Heritage Biennial”, in particular CSS coordinated talks. The meeting was about how culture can increase the quality of life. Among the studies made in 2013, CSS also worked on, the study on Capacity Building in the Cultural Field, job assigned by Fondazione CRT, the study on Fashion in Piedmont area, job assigned by Unioncamere Piemonte and the study called “Arte a km0” on Modern Art and Quality of Life. In 2014 CSS worked on the study “Creative Atmosphere Ferrara” job assigned by SIPRO. CSS analyzed cultural and creative industries in Ferrara’s area. This research involved several local public and private workers during the talks and the study has been showed during “Restoration and Preservation of Enviromental and Cultural Heritage fair” in Ferrara(Italy). Fondazione Cariplo also assigned to CSS the report on “Cultural projects and urban development, this study has been published in “Quaderni dell’Osservatorio” by Fondazione Cariplo. In 2015, CSS worked on a study on cultural industries in Cuneo’s area financed by Fondazione Cassa di Risparmio di Cuneo but also CSS gived scientific assistance at UNESCO Venice Office for the organization of the International fair about Sustainable Food Practice, Landscape Managing and UNESCO’s nominations for the EXPO 2015. In the last years CSS has been very focused on the creation of the Second Level Centre, job assigned by UNESCO, on Cultural Economics and World Heritage (International Training and Research Centre on Economics of World Heritage and Culture –ITRECH) located in Venaria Reale (Turin, Italy) at La Reggia. 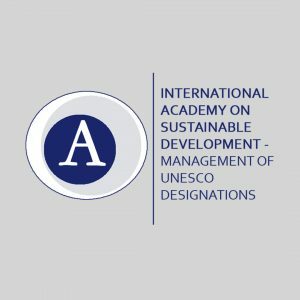 The centre, approved by the Assembly of Member states of UNESCO in November 2011, usually works on researching, developing and drafting of International projects about Cultural Economics of UNESCO’s sites. Enrico Bertacchini, Paola Borrione, Aldo Buzio, Tiziana Cuccia, Vittorio Falletti, Sergio Foà, Lodovico Folin Calabi, Martha Mary Friel, Maurizio Maggi, Alessia Mariotti, Massimo Marrelli, Angelo Miglietta, Luca Moreschini, Stefano Piperno, Alessio Re, Antonio Paolo Russo, Donatella Saccone, Giovanna Segre, Giovanni Signorello. Giovanna Segre, Università degli Studi di Torino; Francesco Bandarin, UNESCO Parigi, e Università IUAV, Venezia; Christian Barrère, Université de Reims Champagne-Ardenne, Reims; Pierre-Jean Benghozi, Ecole Polytechnique Universitè Paris Saclay; Lluis Bonet, Universitat de Barcelona; Tiziana Cuccia, Università degli Studi di Catania; Xavier Greffe, Université Paris 1 Panthéon-Sorbonne; Guido Guerzoni, Università Bocconi, Milano; Massimo Marrelli, Università Federico II, Napoli; ; Angelo Miglietta, Università IULM, Milano; Andy C. Pratt, City University of London; Pier Luigi Sacco,Università IULM, Milano; David Throsby, Macquaire University, Sydney; Michele Trimarchi, Università “Magna Graecia”, Catanzaro.